Are you building a house of your own? Then, you should build it in such a way that the inmates get to enjoy utmost convenience in the house. Try to install all kinds of facilities in your house. And this includes a garage space too. A garage has become immensely important nowadays not only to store your personal vehicle but also for other essential goods which are crucial but don’t find a place in the house. That is why the entrance of the garage is also used like the main door now. So, you must focus on high-quality garage doors while building a new house. We, at Garage Door Systems Inc, can help. We bring you several kinds of well-designed, durable, and cost-effective doors for your garage space. We are the authorized dealer for Rytec High Speed Doors and are one of the most experienced companies in the market with more than 30 years in this field. With our experience and reputation, we offer you products from renowned brands like Door Link, Mid America, Wayne Dalton, and LiftMaster etc. So, if you belong to areas like Edmond, El Reno, Mustang OK, OKC, Oklahoma City, or Yukon, you can rely on us. 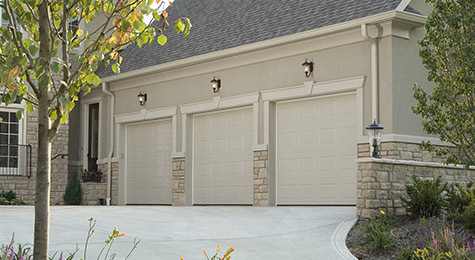 Here, we have put together a few things to check before buying a garage door. Take a look. Firstly, you need to make sure that the garage doors can be operated by anyone. The operating mechanism should be easy and understood by everyone. So, check how to open or shut down the door before making a purchase. Make sure the door is made from good quality materials which can last for long. After all, you are investing your hard earned money in it. So, you must check its longevity before choosing one. So, if you think we can provide you with the garage doors you need for your house, then quickly contact us now.